If you rent, you should have insurance. Whether you rent a townhouse, an apartment building, or a single family house, it’s important to have your belongings insured. Your landlord has insurance, but if something happens to the building (such as fire or water damage), your personal belongings are not protected under your landlord’s policy. 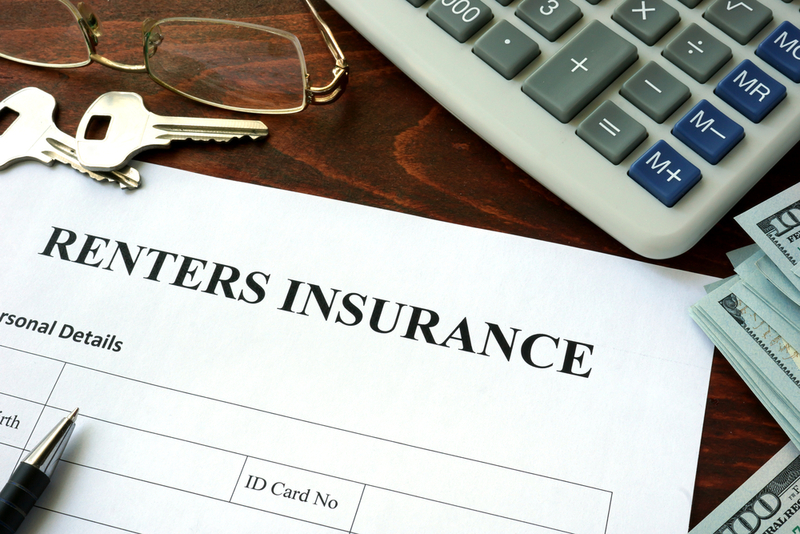 Even if you don’t consider your belongings to be too valuable or live in a small space like an efficiency apartment, getting Renter’s insurance is a smart move. These days many landlords won’t rent to a tenant until the tenant has proof of Renter’s insurance. While not every landlord requires a renter to be insured, it’s never too late to get insurance. If you’ve lived in the same place for a few months or even a couple of year and don’t have insurance, you may be taking a risk. An “ I wish I was insured “ moment can happen at any time. Don’t wait for something bad to happen to learn your lesson. Renting a place has a lot of pluses, but it can come with a hefty price tag. From utility bills to monthly rent to a secure spot in the parking garage, you may find yourself with only a little bit left at the end of the month. For many renters, Renter’s insurance is just another expense. Fortunately, Renter’s insurance is affordable. According the the Independent Insurance Agents and Brokers of America, the average cost of Renter’s insurance is less than $15 a month for $30,000 property coverage and $100,000 of liability coverage. $15 a month isn’t too much when you think about your daily spending. You could have your Renter’s insurance monthly payment covered if you cut out a couple of lattes or cocktails each month. Before we lose anything (or everything) many of us have the attitude of “It’s Just Stuff” and while that’s true, you may not know the value of what you have until it’s gone. Additionally, replacing anything from clothing to electronics to even dishes can end up being a lot more expensive than if you paid a monthly Renter’s insurance payment. A big mistake that many renters never follow through with is determining the value (or finish documenting) their items. When you sign up for Renter’s insurance, make time to take inventory of your possessions. You can take video and pictures, but document everything from linens to kitchenware to electronics; it will save you time, money and stress in the long run. If you’ve done your homework, you have a pretty nice inventory of insured items, but don’t stop there. Don’t forget about liability insurance. Let’s say you host a party, whether it gets “wild” or not doesn’t really matter, but a friend slips in your bathroom and gets injured. Even if this person is your friend, he or she was injured on your property and may want to take you to court. With liability coverage, you’re protected. Rest and rent a little bit easier by taking the time to get Renter’s insurance.